Recycling is one of the easiest ways for you to have a positive impact on the world in which we live. There are so many reasons to recycle glass! Here are key reasons to recycle, but you can find out more about recycling and glass here. Recycling glass saves scarce landfill space. By recycling, you are preventing waste glass from filling up South Africa’s ‘dump sites’, tips and landfills. 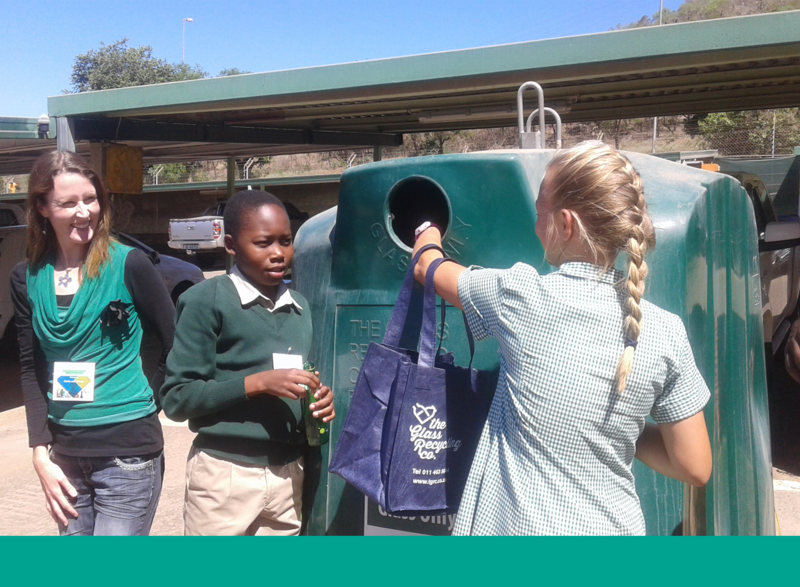 By recycling instead of littering, you are ensuring our natural environment is kept clean and beautiful. Recycling just one bottle saves enough energy to power a fluorescent light bulb for seven hours! Take a look at our Energy Calculator here to see how much energy you can save by recycling. Recycling reduces our carbon footprint. Taking into account the transportation and processing, for every ton of glass made out of recycled glass, 670kg of CO2 emissions are saved. Recycling also reduces the need for raw materials to be quarried thus saving non-renewable, natural resources. For every ton of waste glass used to manufacture new glass, 1.2 tons of natural resources are saved. Collecting glass for glass recycling can serve as a source of income. Unemployed people are able to earn a source of income by collecting and selling the glass to buy-back centres. Start recycling today to make a difference.